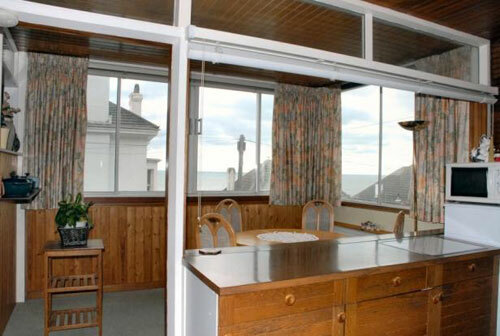 We didn’t actually find this one, the agent sent us details of Scan House in Radnor Cliff, Sandgate, Kent. We’re very glad they did too – it’s a corker. 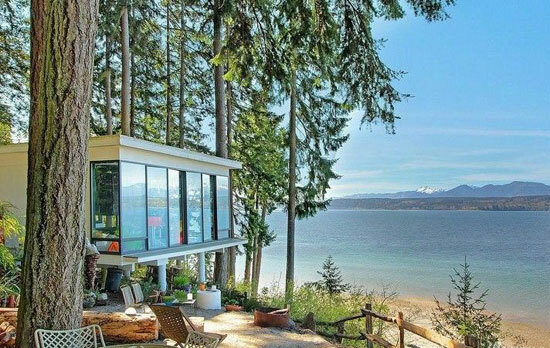 This is an architect-designed property, described as being a ‘Scandinavian-style house’ and dating back to 1964. Like some others we have featured of late, it’s another out of the The Buildings of England book by Nikolaus Pevsner and Edward Hubbard, praised for a design that offers 180-degree views of the sea. The house itself, which is located just outside Folkestone, is distinctive both in looks and construction. The latter is down to a steel frame, which is clad is clad in aluminium and timber, with a concrete tile hanging and a flat roof. 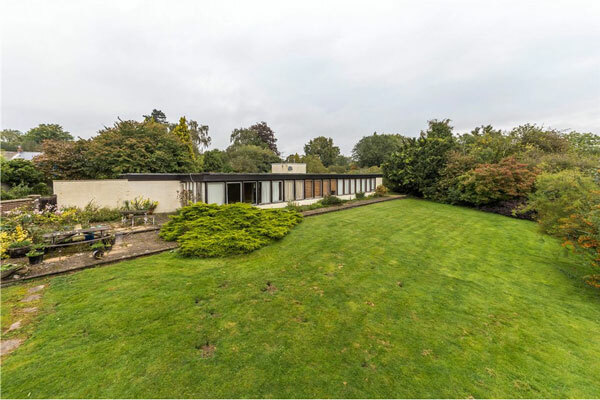 The look of the place both inside and out is very much of the original era – this is the first time the house has been on the market in over 20 years. It really could be longer. Once inside, you can see how little the place has changed – wood-clad ceilings and walks, room dividers, storage – it’s all here. 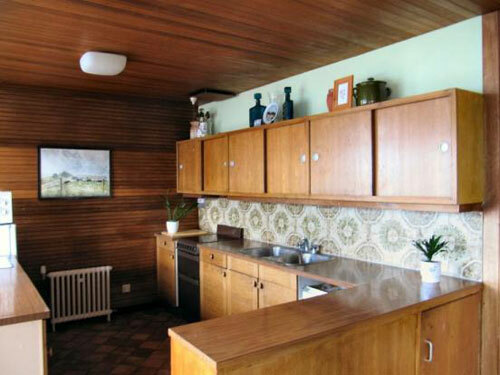 Yes, it needs some modernisation, but if you are after a retro-styled home, this is a great canvas. 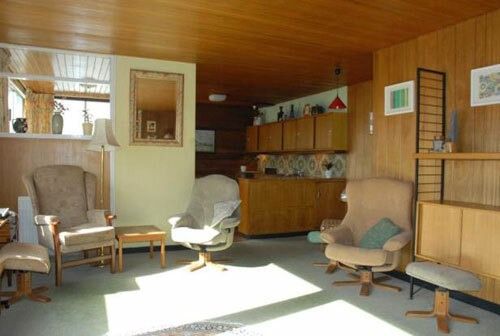 In terms of layout, you’ll find a reception room, utility room, workshop/store, shower room, sitting room/bedroom five and mezzanine on the ground floor. Upstairs there’s a galleried landing, sitting room, kitchen, dining room, four more bedrooms and a bathroom. 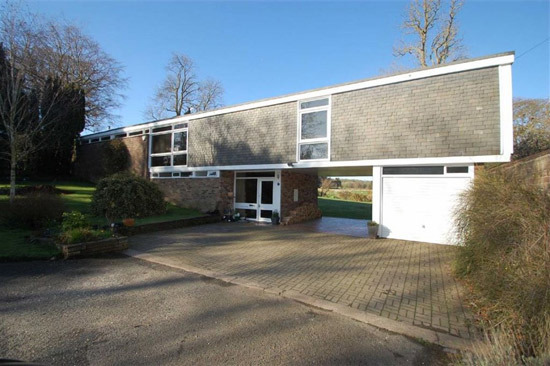 Outside, you’ll find some paving and gardens, plus room to park your car underneath. Want it? 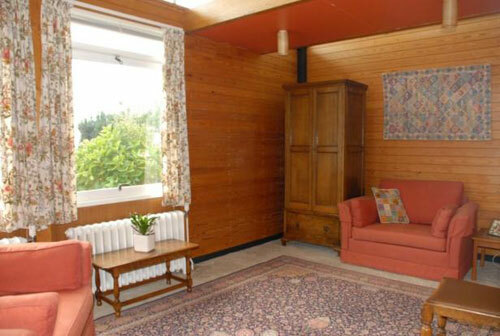 The agent has the house up for £300,000. The architect was John Floydd. 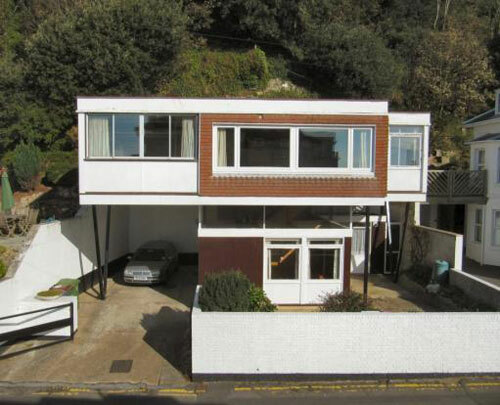 He went on to design Riviera Court on Sandgate High Street in a vaguely neo-vernacular style and speculative housing for John Hall (Builders) Ltd in Hastings. 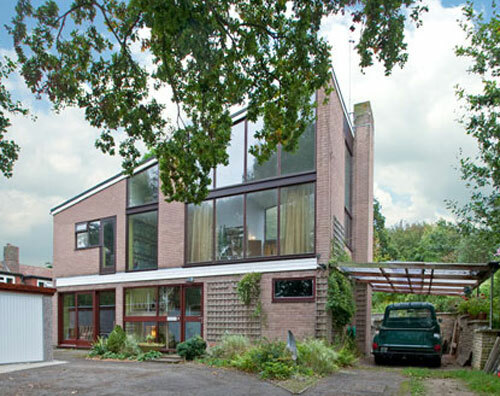 Scan House is probably the house designed for clients called Russell, listed in The Twentieth Century Society Journal 4 (Post-War Houses) gazetteer. If so it was published in Architect & Building News 22 Sept 1965, pp 549-52.